One of the most primitive aspects in art, music and dance are the art forms known to the mankind since time immemorial. Music and dance are deeply ingrained in any society universally. In Hindu mythology, the cosmic dance performance or the Tandava Nritya of Lord Shiva and the stories of Lord Krishna dancing with Radha and Gopis are popular myths. Like in any other part of India, Orissa has a glorious tradition of music and dance and has its own distinct school. Apart from the classical Odissi Dance, there are numerous folk dances usually performed during fairs, festivals and religious ceremonies. The treatise of Bharata, a pioneer of music and dance in India refers to the musical tradition of Odra substantiated by archaeological finds from the times (1st century BC) of Chedi dynasty. The innumerable sculptures of musical instruments depicted on the walls of temples from 6th century AD to 13th century AD testify to the glorious tradition of music and its patronage by successive kingdom in Orissa. The classical Odissi Music owes much to the great Saint poet, Jayadeva, whose highly lyrical Geet Govind, composed in Sanskrit in the 12th century was ritually sung in many of these temples. By the 15th century instead of Sanskrit, Oriya language was being used for literary works and the poetry developed on the love theme of Radha and Krishna. The musical forms like Chhanda, chautisa, champu, chaupadi, bhajan and janana had developed. The period between 16-19th century under the local patronage saw great composers of lyrical music based on raga (tune) and tala (beat). 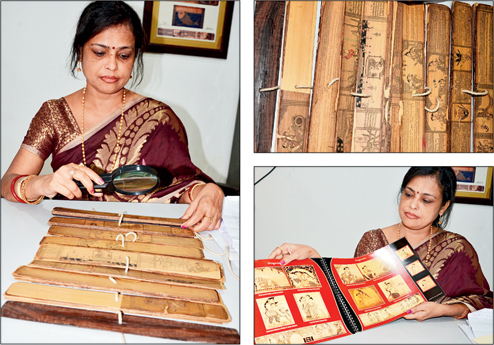 Treatises on music like-Sangitarnava, Chandrika, Gita Prakasha, Sangita Kalpalata, Sangita Sarani and Sangita Narayana were compiled. 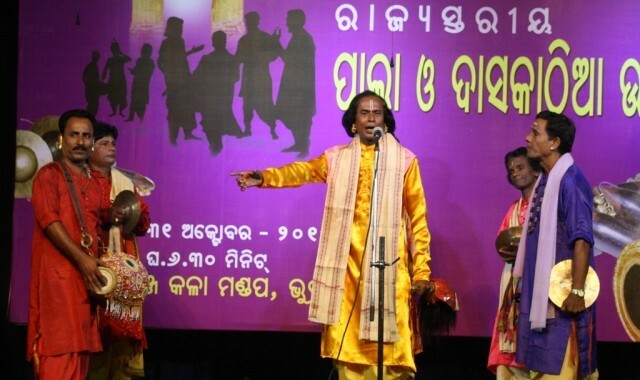 In modern time some greatest exponents have significantly contributed to the development and modernization of Odissi music, prominent among them are Singhari Shyamasundar Kar, Markandeya Mahapatra, Kasinath Pujapanda, Balakrushna Das, Gopal Chand Panda, Damodar Hota, Ramahari Das, Shyamamani Devi Sumati Devi, Sunanda Patnaik, Keshab, Sangeeta Gosain, Bijoy Jena and others. Odissi is one of the six classical dance forms of India with a very distinct elegance and poise associated with its style. It finds mention in the Natya Shashtra of Bharata, as Odra-Magadhi style. Friezes in the caves of Udayagiri and Khandagiri and the sculptures of female dancers found in large numbers in temples attest to the popularity of dances in courts and places of worship as far back as the 2nd century BC. It was an integral part of the religious rituals performed in the nata mandapas by the maharis or devadasis (temple dancers) in their elaborate costumes and jewellery. The history of Odissi dance has a bearing with devadasis (wives of the God) of Lord Jagannath. Devadasis were handed over by their parents at an early age and were symbolically married to presiding deity. Jayadev’s Geet Govind, dealing largely with the depths of Krishna’s love for Radha was part of the daily religious rituals, performed by devadasis with different bhavas and rasas. With the loss independence of the Orissa by the end of the 16th century, the mahari tradition declined. The Ray Ramananda, a dramatist and musician introduced the dance in another form, Gotipua Nacha, where males dressed as Girls danced outside the temple. Thus the tradition survived and it came out of the temple. Most of the earlier time gurus (masters) were Gotipua dancers. The 15th century manual, Abhinaya Chandrika, written by Maheswara Mahapatra contains information about the technique of Odissi dance and was also instrumental in reviving the old glory of Orissa’s own regional style along with temple sculptures. All the poses, steps and movements in Odissi dance have been codified and preserved by the Odissi Research Centre established by Government of Orissa at Bhubaneswar. Beautifully attired in pleated silk brocades, bejeweled and decked in jasmine flowers and bells, the dancers perform to the recitation of devotional poetry set to music, most inspired form the theme of eternal love of Radha Krishna. The important parts of Odissi Dance are called Padabhada, bumi, chari, biramani, bhangi and hasta (mudra) etc. the most typical pose is tribhanga (hip shot stance) where the body is bent thrice, the fundamental posture is chawki and the dance is divided into nritta (pure dance), nritya (expressional dance) and natya (drama). 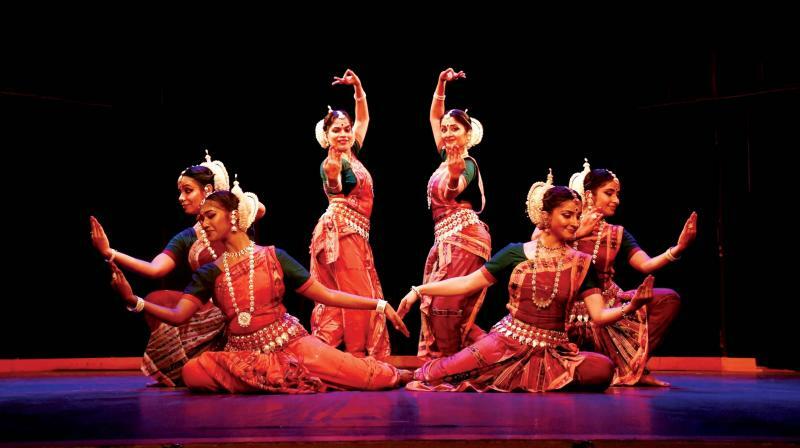 The different items of the Odissi dance style in the order in which they are performed are mangalacharana, batu nrutya, pallavi, abhinaya and mokshapat. In mangalacharana, the dancer dedicated herself to the Lord Ganesha or Lord Jagannath, begs forgiveness of the Mother Earth for stamping her feet upon her and of her audience for any shortcoming in the performance and offers salutations to the Guru. The batu nritya is pure dance, lying stress on poses symbolizing the playing of the veena, drum, flute or cymbals, without any recitation or song. The extremely graceful and lyrical is pallavi, the tune in some raga accompanied by sargam and bols. Through facial expressions, abhinaya, the performer depicts rasa and bhava to bring out the meaning and mood of the accompanying song either in Sanskrit or in Oriya. These romantic compositions are generally from the pieces of Geet Govind, the dashavatar item or the songs written by poets like Banamali, Upendera Bhanja, Baladeva Rath and Gopala etc. the concluding piece of performance, mokshapat has a fast tempo to the accompaniment of rhythmic patterns, which transports the dancer to moksha (merger with divine). Orissa has a rich tradition of folk plays – dance, drama and music in which the spiritual, philosophical and the humane dimensions have merged to reflect a life style. A religious folk play, it is a popular form of devotional entertainment. The Ram Leela portrays the various incidents from the epic Ramayana. The dramatic rendering of dialogues by the performing artistes in dazzling costumes and heavy make-up backed by a group of chorus singers and orchestral music starts from the Ram Navami day and continues for 9 nights. The Ras Leela is a lyrical-musical enactment of the immortal love of Lord Krishna and his consort Radha. It revolves around different moods of love, such as anger, playfulness, expectation etc between the two. Other popular form is Bharat Leela or Dwari Leela which draws its plot from the story of love and subsequent marriage of Arjuna – one of the five Pandavas with Subhadra. A typical play of Ganjam district, the Prahlad Natak, a play composed by Gopinath Parichha is presented a s a compendium of songs in praise of Lord Nrusingha and suppression of pride of demon king Hiranya Kashyap by a young devout Prahlad. It corresponds to folk theater where mythological, historical and social subjects are enacted. In fact, Jatra blossomed at the end of the 19th century as a development over Suanga. Performed in an open air theatre, Jatra succeeds to enliven the mass with a show of music, dance, acting, singing and the dramatic expression of emotions like love, anxiety, anger, and pathos. Recently social themes and popular legends have also been included, with rustic characters in dazzling costumes rendering dialogues in local dialects. The theatrical mannerism and the high sounding dialogues of perfomers and the accompanying thundering music usually a harmonium, clarinet, cymbals, table, dholki, bugle and mrudanga, all liven up the atmosphere. A pioneer of this art, Baishnab Pani introduced duet dances and prose dialogues in this popular art of mass entertainment but the present day plays however seem to be deeply influenced by modern cinema. A folk art performed by two men owes its name to the musical instrument by the same name. Daskathia is made of two wooden pieces, which when beaten with hands produce rhythmic sound. The singer like the Pala singer generally uses themes of religious intent from mythology, whereas his partner intermittently gives a rhythmic refrain of the words. The rhythmic narration is often interspersed with special sequences dramatized in dialogue form. Wit, humour and songs take the centre stage in this performance of a shorter duration than the Pala.